Imagine this: Learners need to learn to run data, analyze the numbers, and report the findings in a coherent, consistent way. (It could just as easily be “operate a software system” or “build community outreach programs”… it doesn’t really matter.) There are 20 of them. Plus, they have very limited time to meet and are geographically disperse. Go! What to do, Ms. Instructional Designer? Mr. E-Learning Practitioner? 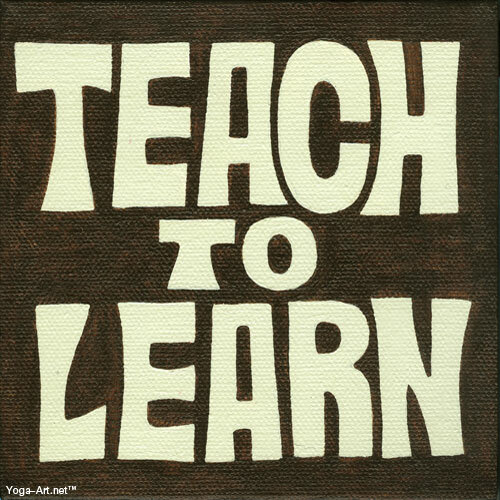 One approach is to allow the learners to become the expert trainers, and have them teach each other. Who doesn’t recall the details of a topic they’ve had to teach? Want to learn to play chess better? Teach a lesser player to play better, and your game will improve, too. So, in our hypothetical example, you could divide the learners roughly into thirds (7-7-6), and charge them with becoming an expert on one of the three essential training content areas (collect, analyze, and report). If each team can collaborate, all the better. If not, individual effort is fine, too. Sadly, that last point is not even remotely true. But, it does make us approach our role quite differently. Rather than tight authority over a specific e-learning track or training room, we open our controlling fist to the chaos of the crowd. What that means is we become curators, coaches, mentors and evaluators. Curate: We provide the materials, links, and other resources that are going to allow learners to build and contextualize their growing expertise in their area. Mentor: We need to work with individuals to find their strengths in how to present the content (talking, demonstrating, visual depiction, metaphoric illustration, interpretive dance, etc.). Seen this way, our job is less to prepare and deliver training “products” or “events,” and more about adjusting to a digital age learning culture. The constant stream of information is relentless, and we need to help our learners make sense of it and flourish beneath the deluge. ← Webbie Winners: Are IDs and e-learning folks keeping up? I found this information is very interesting to a trainer / teacher. I agree with the thoughts and processed. To further the discussion, becoming a good trainer definitely should engage their learners in various information gathering and problem-solving activities. A trainer has to be mindful to present the material in an encouraging manner and try to lead discussions, ask and answer question and introduce activities in order to balance the learning content. I look forward to seeing more intriguing posts.